China has rejected the US government’s criticism of Hong Kong’s decision to allow Edward Snowden to leave the country last month. 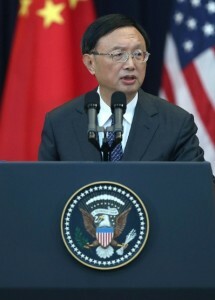 Chinese State Councillor Yang Jiechi said the government’s decision was ‘legal’. “The Hong Kong SAR [Special Administrative Region] government has handled the Snowden case in accordance with law, and its approach is beyond reproach. Others should respect this,” Yang said. Revelations of US electronic surveillance by former NSA contractor Edward Snowden have cast a shadow over the China-US cybersecurity talks during the fifth China-US Strategic and Economic Dialogue (S&ED). Chinese foreign policy analyst Minghao Zhao says the cyber security issue is gaining more and more importance in Beijing’s foreign policy. “Obviously this issue is very crucial and sensitive for most emerging countries. More consultations in multilateral settings involving a number of relevant players in the world will be constructive for mapping the rule of road in cyber space,” Zhao told The BRICS Post. Snowden left Hong Kong for Russia on June 23 where he has been stuck in the transit zone of Moscow’s Sheremetyevo Airport. According to airport officials, Snowden has requested a meeting with human rights groups in Moscow on Friday.